The rehabilitation robotic system can quantitatively measure the 3 degree-of-freedom (DOF) impedance of human forearm and wrist in minutes. The device can accurately characterise 3 DOF forearm and wrist impedance, including inertia, damping, and stiffness. Stroke is a leading cause of long-term disability. It involves the sudden loss of brain function, caused by the interruption of blood flow to the brain or the rupture of a blood vessels in the brain. As a consequence of stroke, stroke survivors are often left with muscle overactivity, including spasticity, which is characterised by tight or stiff muscles and an inability to control those muscles. It is often manifested by increased stretch reflex activity and mechanical joint resistance. “The [distal internal model based impedance control] dIMBIC-based method can be used to assist in the quantitative and objective evaluation of neurological disorders, like stroke,” says Professor Sang Hoon Kang from the Ulsan National Institute of Science and Technology. The research team expects that, in the long run, the proposed 3 DOF impedance estimation may promote wrist and forearm motor control studies and complement the diagnosis of the alteration in wrist and forearm resistance post-stroke by providing objective impedance values including cross-coupled terms. 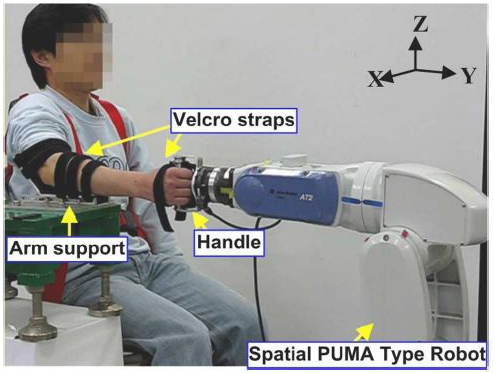 The latest study has been published in IEEE Transactions on Neural Systems and Rehabilitation Engineering.